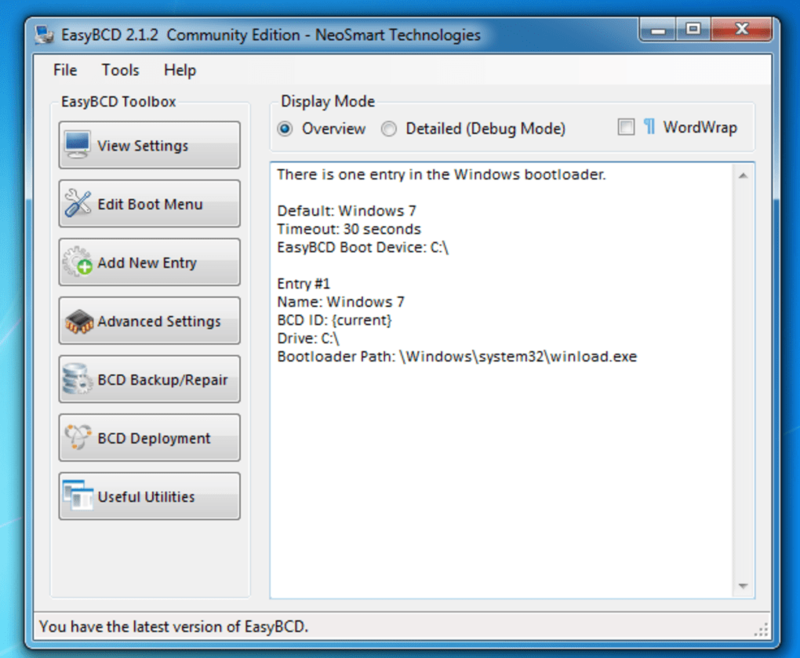 EasyBCD allows you to duel boot with your windows PC. It allows you to boot into legacy systems that Microsoft doesn't currently support, such as Windows 2000, Windows ME, and more. You may boot into whatever you wish, such as Windows, Mac, BSD, and Linux. EasyBCD allows you to boot from and into ISO images, USB drives, virtual disks, and so on. 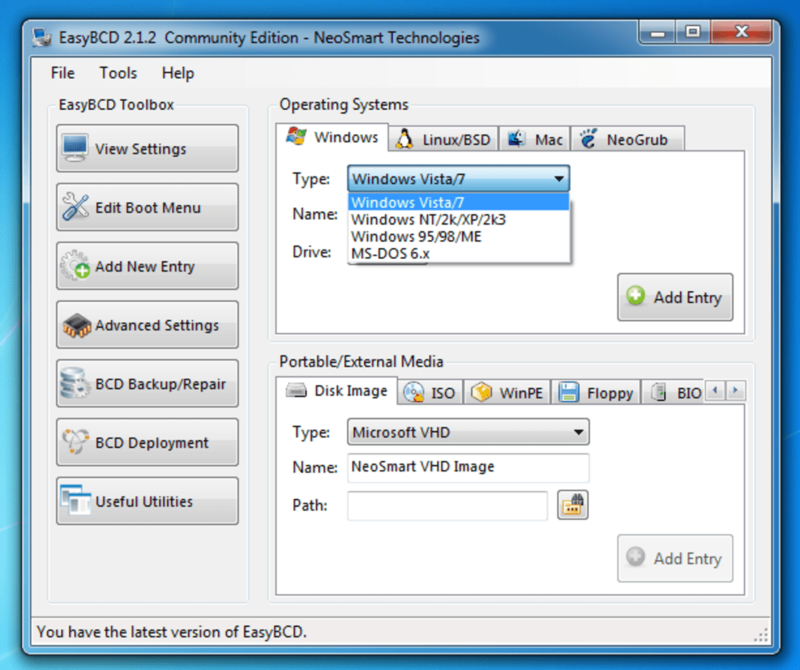 You may create a bootable USB drive/stick that has repair utilities, which you may then take wherever you like. 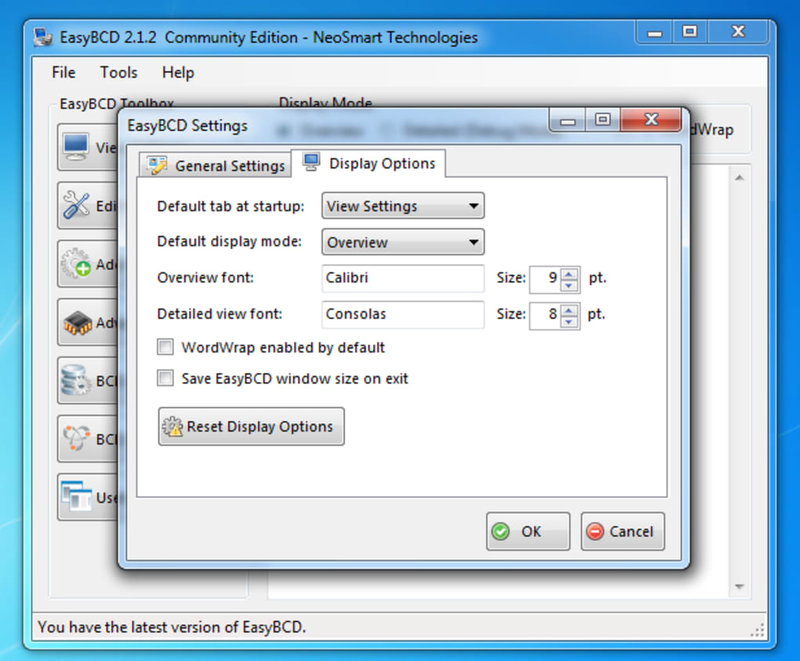 The interface is ugly, and almost primitive looking, but the use of larger buttons within the menus makes the program feel and look easy-to-use. The interface design is rather intuitive, but you will still need a manual unless you are willing to try a little trial and error testing. This tool also makes editing easier too if you wish to rename, add, remove, reorder and configure your entries. 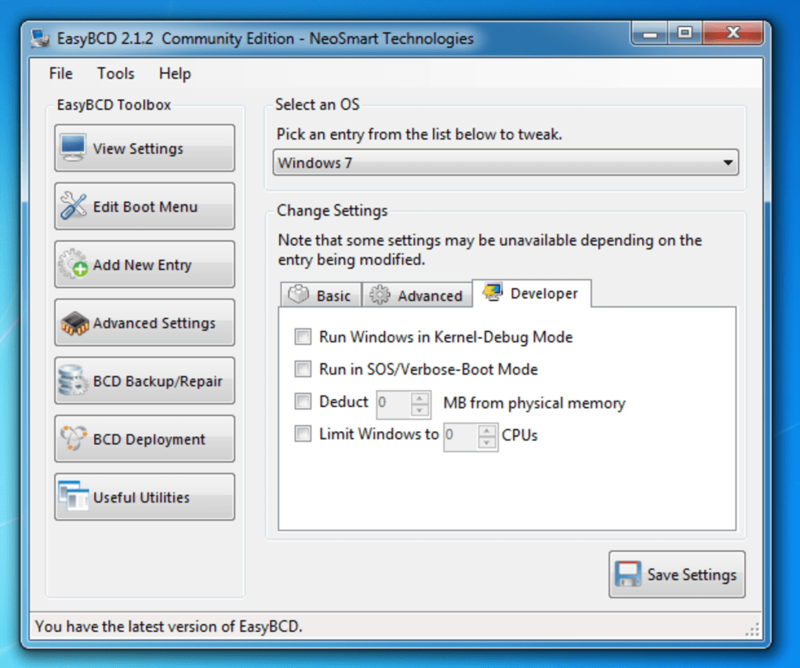 Saying that EasyBCD has limited use is a little unfair because the tool does allow you to perform numerous solutions to your PC problems, but there are various alternatives to using this tool when searching for solutions to your PC problems. This tool isn't a magnificent root to fixing your PC problems, but it does offer an alternative route that may be suitable if you have tried and failed when using other solutions. It may be suitable for people who wish to boot into safe mode or into recover utilities, but you will have to create them in advance. Saved my skin. 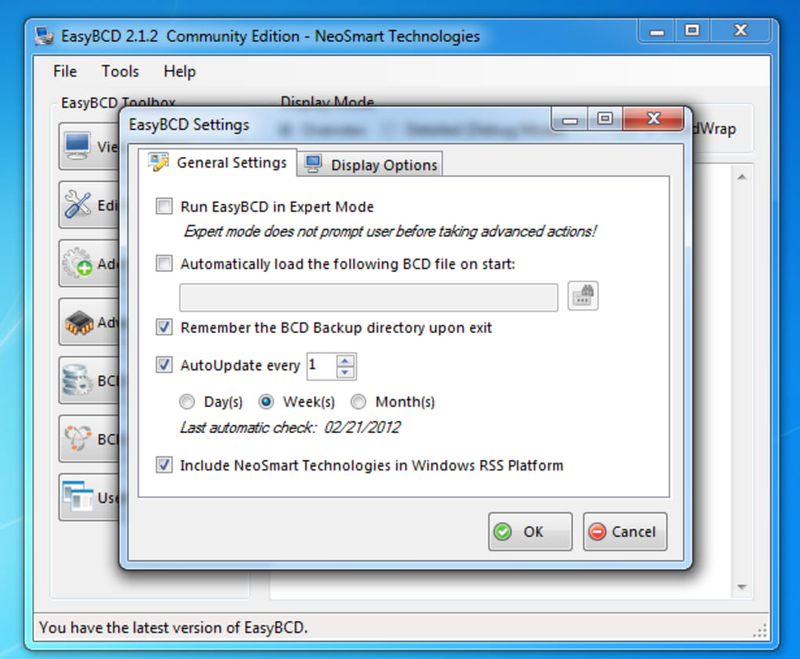 I love EasyBCD - it's saved my skin more times than I can count. I've used it to fix problems with migrating from XP to Vista and then from Vista to 7, and each time I'm more and more impressed with the features it has. 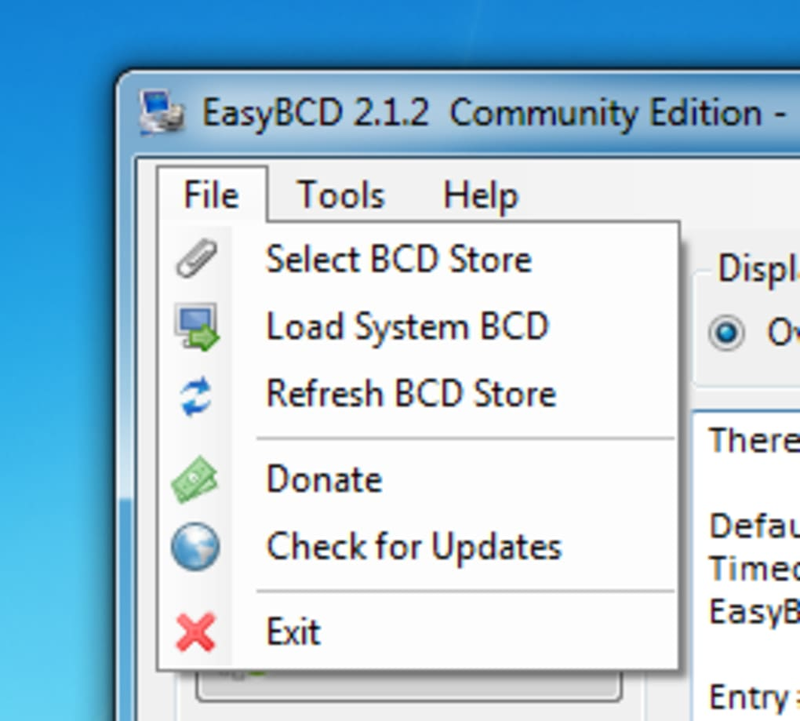 EasyBCD 2.0 is now in beta, and it has some incredible features such as booting from an ISO or a virtual CD. 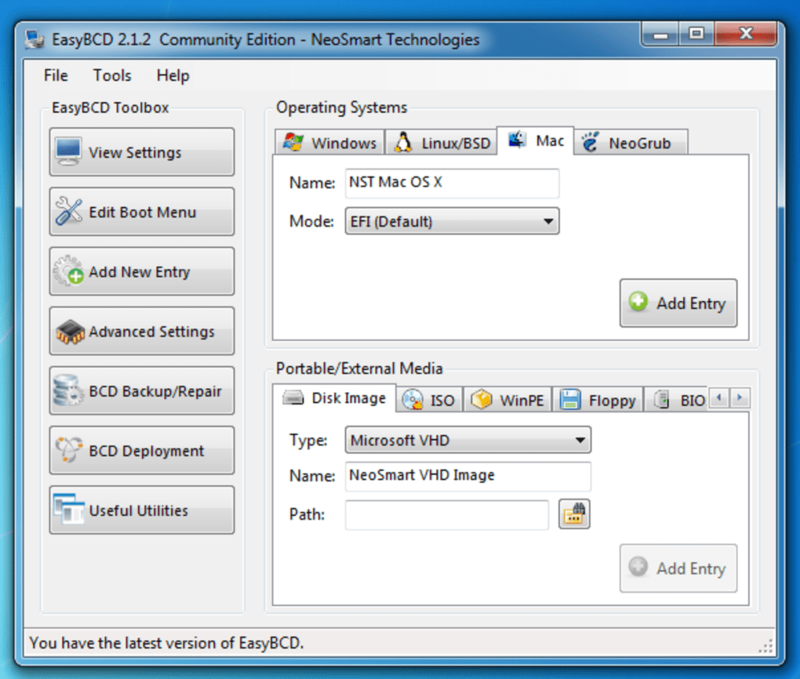 Without EasyBCD, I don't know how many times I'd have had to format and start over. * Supports just about every operating system there is. * Can boot from ISO images, virtual CDs, WIM files. * Compatible with GRUB and OS X bootloaders. * Has tools to repair your boot and create bootable USBs. * Documentation is a bit old.